In Your Castable Types®: Understanding How the Industry Perceives Your Talent Will Maximize Acting Success, I share my transformational acting technique and cutting edge career development program, relied on by busy working actors on Broadway, television, films and commercials. 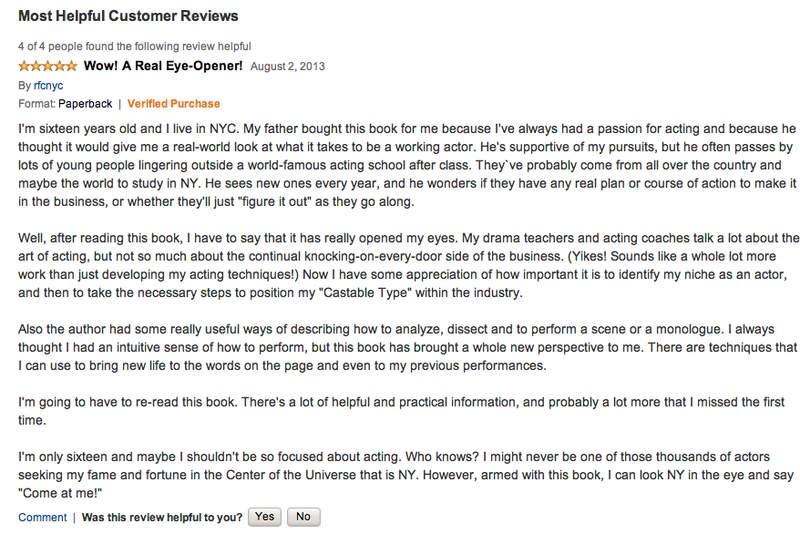 This book is an indispensable guide for performers at any career stage. 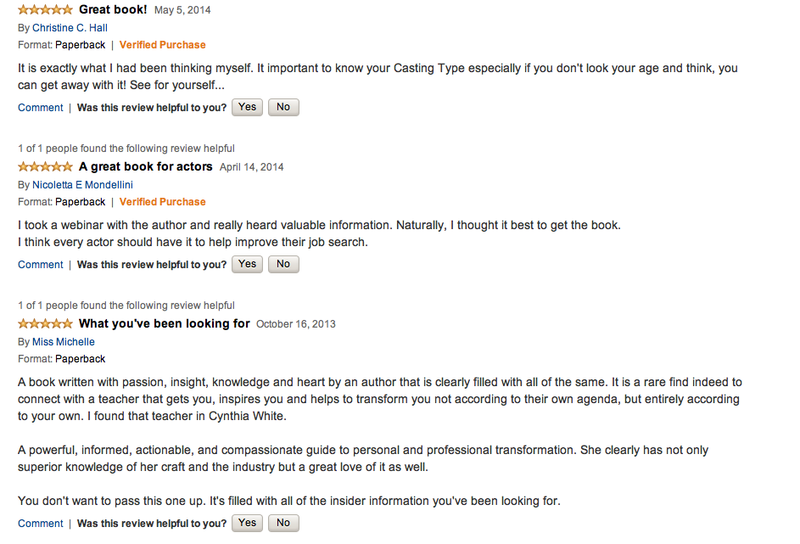 Developed from years of professional experience and proven successful by my hundreds of clients, Your Castable Types® answers the questions and solves the dilemmas confronting actors that never get addressed by college or studio programs, namely, how to launch and sustain a meaningful acting career in today’s competitive and fast moving industry. Using my signature method, The Complete Thought Approach and creating an integrated career plan of action, you will learn how to energize and focus your talent with proven acting, audition and marketing techniques that will take your work to the professional and nuanced Performance Level required by agents and casting directors.